On my recent trip to the local thrift shop, I saw three different sewing machines of three different price ranges. All three came with their own tables. The sewing machines can be hidden within the table when not in use while the table can be used as a regular furniture. 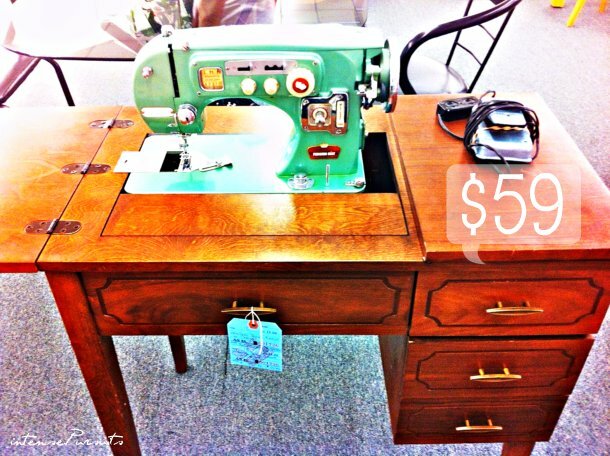 The treadle sewing machines are the oldest and therefore cost more like the Singer Cabinet Table as seen in this image.